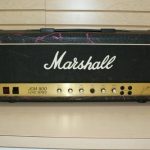 High gain distortion boxes, especially the affordable ones, have been a topic of fierce debate in the guitar community. One side argues that they are borderline useless, while the other sees them as the ultimate tool for getting that face-melting distortion. The truth is that a lot of people approach these pedals in a completely wrong way. Instead of seeing them as a vessel that can instantly transform a cheap Fender knockoff into an EMG-powered active speed axe, one should understand the nature of a distortion pedal first and foremost. One of the models that have been taking this sort of criticism lately is DigiTech’s Metal Master. 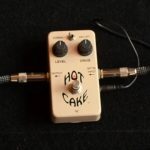 Today we are going to try to introduce you to this pedal, and show you just what kind of potential it has stored within. Seeing how it’s among the most popular dist boxes on the market, some of you are probably already familiar with this model. Even so, you might see a side of the Metal Master that you weren’t aware of before. With that said, let’s dig right in. 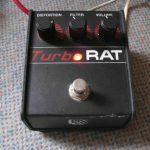 Distortion pedals have been the go-to remedy for underpowered cheap amps and equally underpowered guitars. This is also among the main reasons why so many people gave up on them. It has nothing to do with their performance in most of the cases, but more to do with the perceived stigma that comes with using one of these if you are an experienced guitar player. Just how wrong this is can be judged by the fact that even people like James Shaffer of Korn have DigiTech Metal Master on their pedalboard. Bear in mind that we are talking about a person who has three Mesa/Boogie Triple Rektos in his signal chain at any given moment. This leads us to the next logical question – what is so special about the DigiTech Metal Master? DigiTech Metal Master comes in the already standardized enclosure we are used to seeing from this brand. After all, this is pretty much a no-nonsense distortion pedal. It comes in all black, with Metal Master logo and a somewhat redundant label underneath that says Metal Distortion, as if we weren’t already aware of that. Anyways, the enclosure is pretty bulletproof and is more than capable of withstanding nay kind of abuse you are capable of dishing out on or of the stage. Before we get into specific controls, we need to address one trait of this pedal which makes it unique. DigiTech has been pushing their X-Series stompboxes for a while now, and Metal Master is one of them. In case of this particular model, X-Series trademark feature comes in form of a Morph knob. 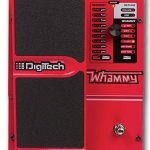 Instead of giving you one type of distortion, DigiTech implemented a neat piece of tech that allows you to switch between three pretty distinct distortions. And that is only the base layer. After you have chosen the ‘color’ of the distortion which you prefer, you can start shaping the way you see fit. To do so, you can use the Level, Low, and Hi knobs. These are pretty self-explanatory and consist of your master volume control along with a two band EQ. But wait, there’s more. DigiTech Metal Master also allows you to plug it directly into a mixer. In other words, you can push a distorted signal directly into the PA system. Rare will you get in a situation where you have your guitar, your pedals but not an amp available, however it is a neat feature to have. With these four knobs alone, Metal Master brings a whole new dimension of flexibility to the table. Compared to other pedals similar in design, this release from DigiTech offers a much more wholesome experience which you can actually experiment with. It’s a pedal that allows you to think outside of the box, although it obviously has its limitations. When it comes to powering this bad boy, the situation is as standard as it gets. You can either use a battery, a power adapter or a dedicated power supply on a pedalboard. That is completely up to you. A lot of people underestimate just how powerful DigiTech Metal Master really is. That EQ is a spectral contouring unit, which means that you get more fidelity in the least amount of knobs. On the other hand, it is linear to a point, but in most cases, you won’t feel limited. Morph feature is really what this pedal is all about. Being able to choose between several distortion styles is just an awesome tool to have at your disposal. The tone itself is clear, crisp and well confined within the frequency range of the pedal. The EQ that is available might be rudimentary, but it sure can give you a whole bunch of options to play with. Scooped mids? No problem. More girth in the lower end? Just as easy. In some ways, you can think of this pedal as a micro effects processor with a more organic feel to it. It’s just an awesome tool to have on your pedalboard, especially considering that mixer output we talked about earlier. Just like it is the case with most pedals of this type, knowing how to dial in the right tone is essential. With Metal Master, it takes some time to get this done, but the results are definitely worth the effort. Check out this video demo of the DigiTech Metal Master below by gearmandude. When all is said and done, DigiTech Metal Master is one heck of a dist box that packs a big enough punch. Whether you are a beginner looking for their first distortion pedal, or a professional trying to find something new for the upcoming tour, this thing will get the job done. On top of that, it’s among the more affordable pedals of this type you can find at the moment. It might take some time to completely figure out the controls and how the pedal reacts to user input, but that is definitely not something we would count as a flaw.